De Sol Spa hotel Santorini is one of a few hotels on the island which opens year round, offering its guests truly first class facilities with the utmost comfort. 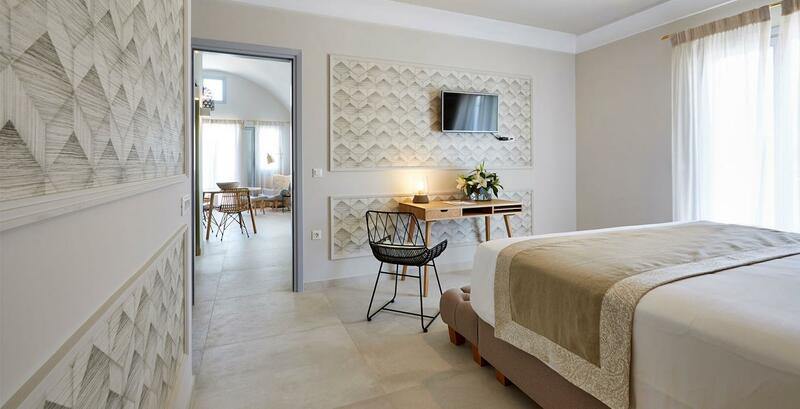 The hotel offers a choice of spacious comfortable rooms, luxury suites and a superb villa with private heated pool plus jacuzzi tub. 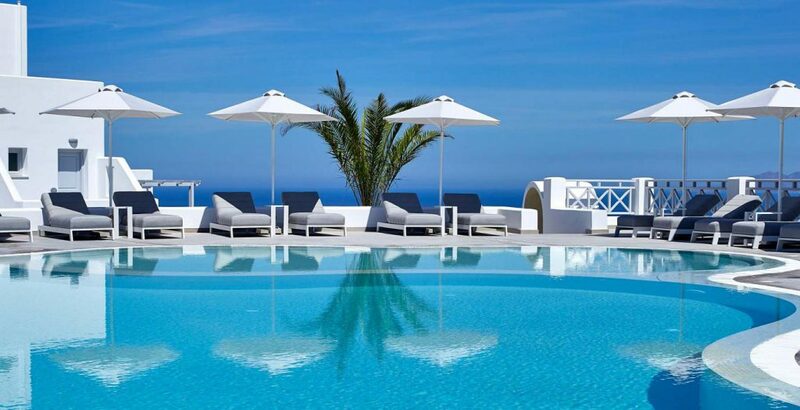 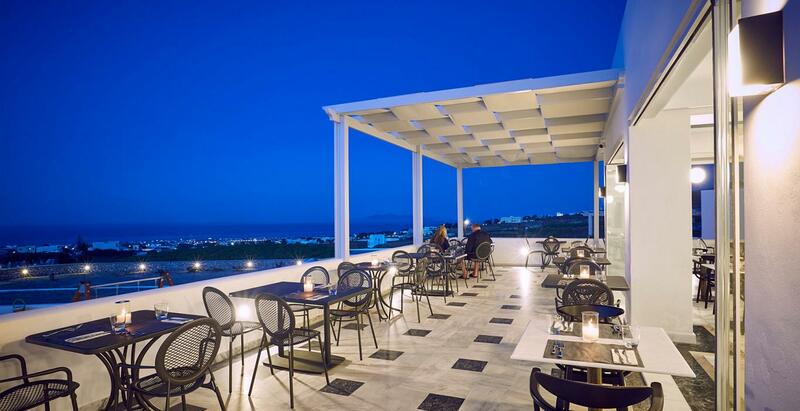 The hotels attractive pool terrace has wonderful sea views of Santorini’s east coast, sun loungers and parasols are also available. 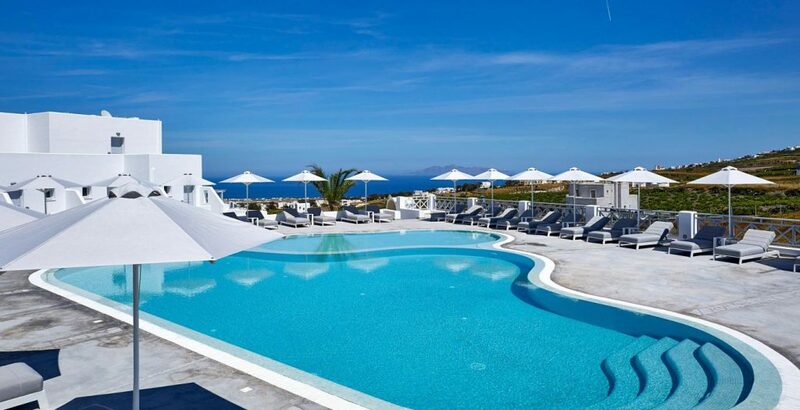 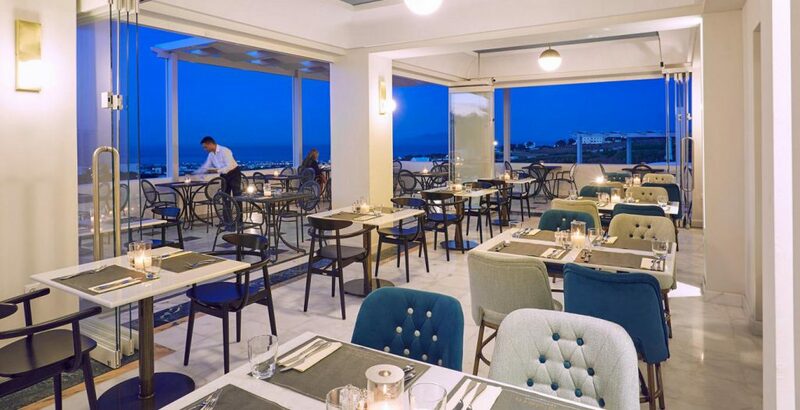 The pool bar serving a tasty menu of snacks and light lunches throughout the day, the hotels modern stylish restaurant serves a Mediterranean menu with many greek specialities. An extensive breakfast buffet is served daily offering many locally made products including delicious greek yogurt, cheese pies, pastries and various healthy choices to name just a few. 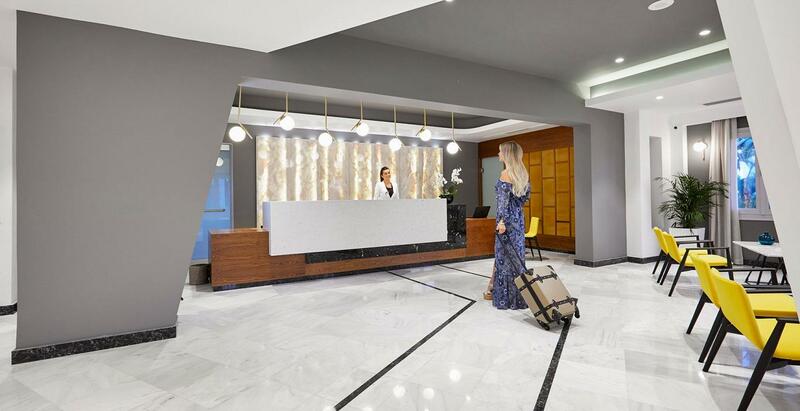 The beautiful Spa and Wellness center offers outstanding facilities, here you can enjoy various beauty treatments, therapies plus a relaxing massage. 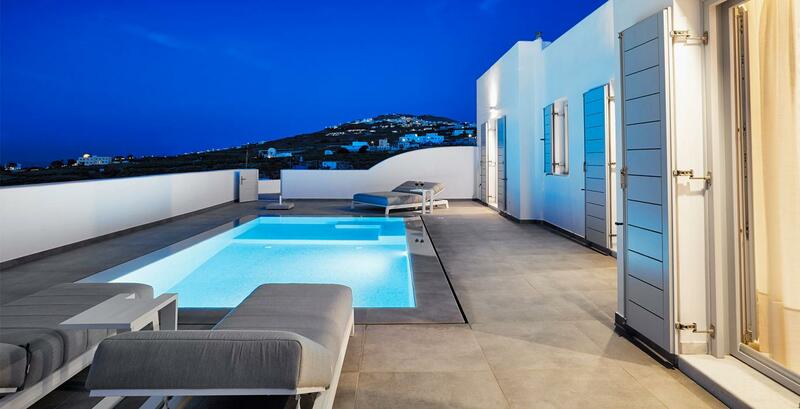 Relax in the oversized jacuzzi and let the stress evaporate. 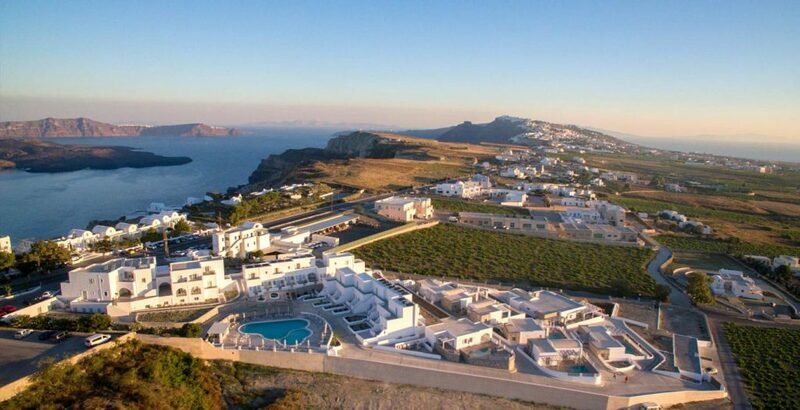 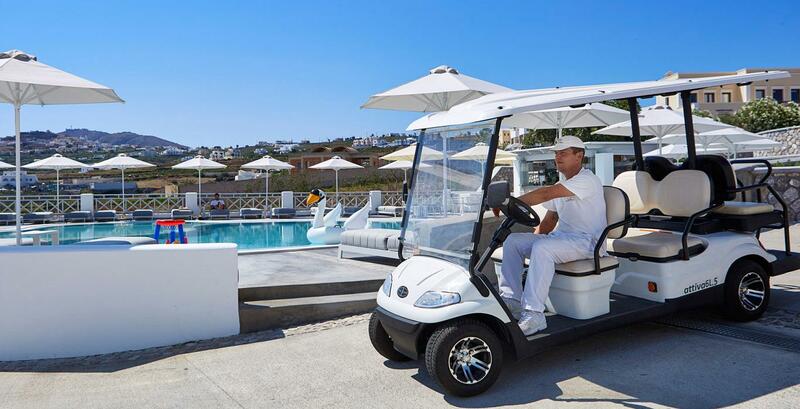 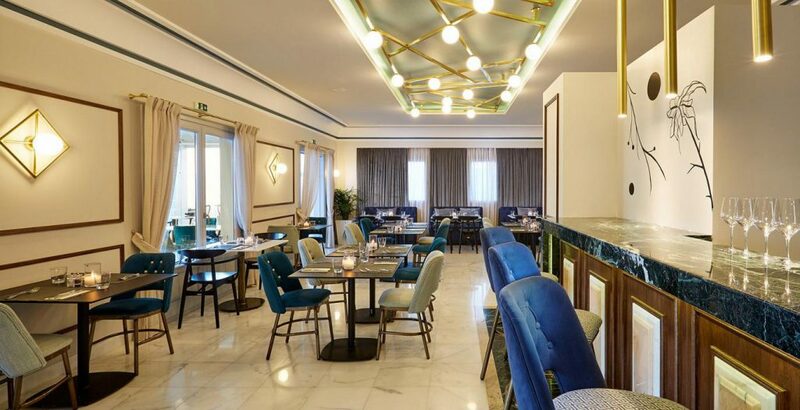 The De Sol Spa hotel is a great choice for your visit to Santorini, with excellent facilities, great location, choice of luxury accommodation and year round opening makes it possible for all seasons. 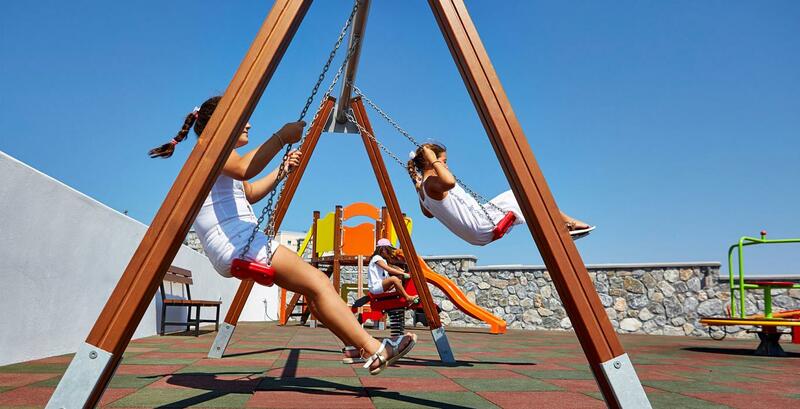 The hotel really is a good choice for families coming to Santorini with small children offering an outside play area with swings, slides and small roundabout. 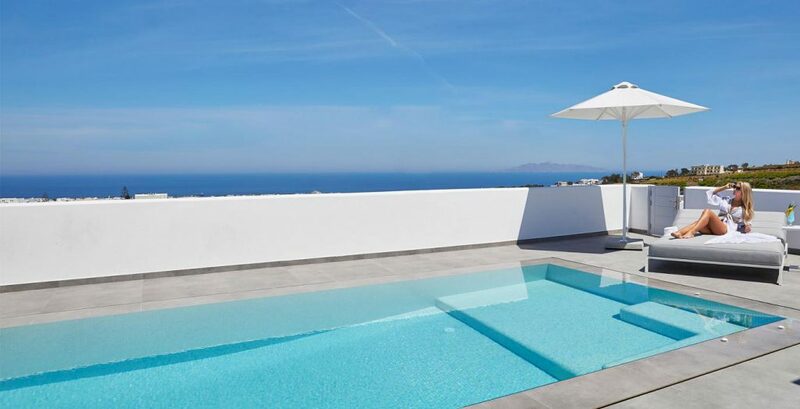 Plus a small childrens pool next to the main adults swimming pool. 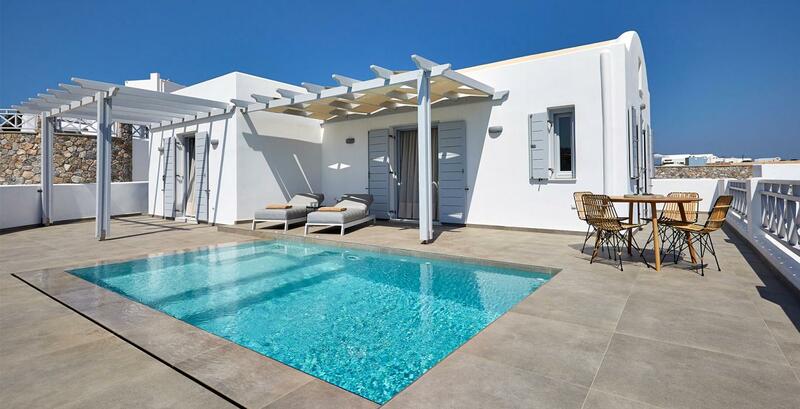 A choice of accommodations are available including comfortable double rooms, family rooms, luxury suites and if your wanting something with a little extra space then maybe the luxury villa with private heated pool may be the perfect choice. 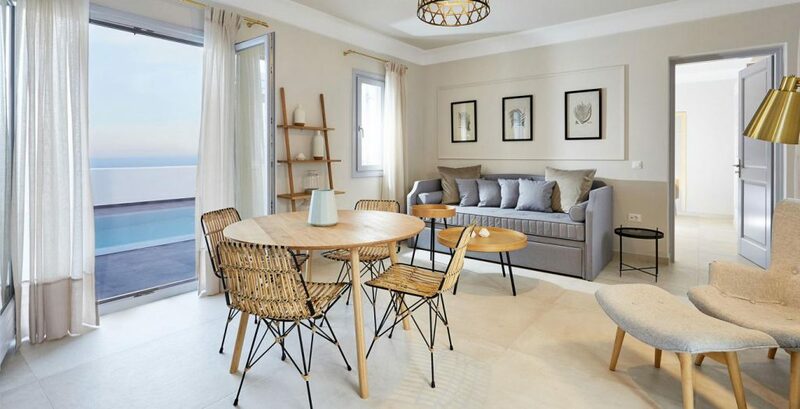 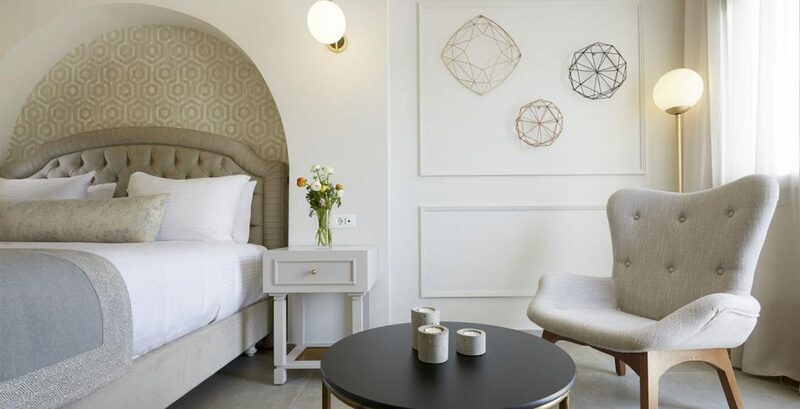 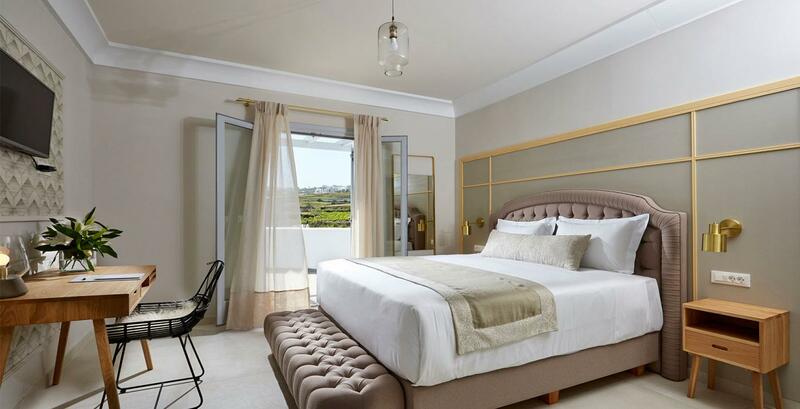 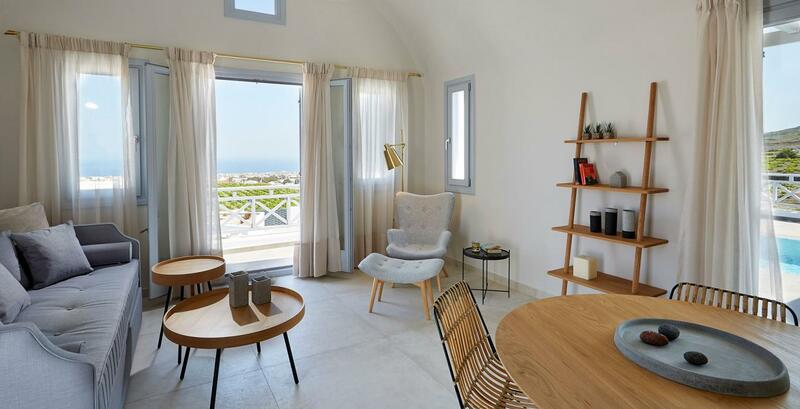 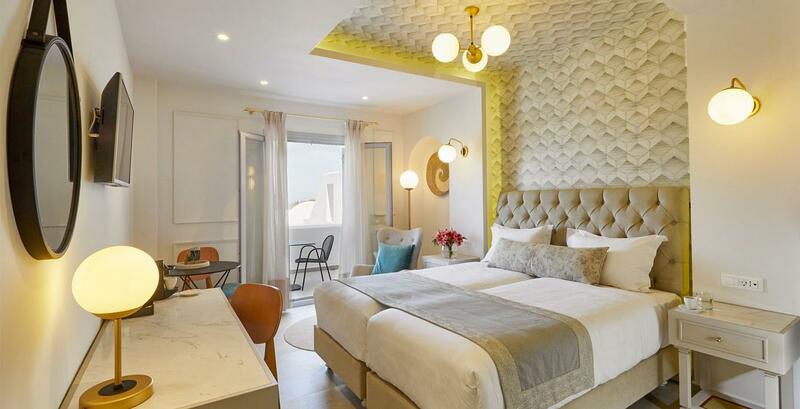 All rooms are beautifully furnished with en suite bathrooms, balcony or terrace, air conditioning/heating, bathrobes, slippers, safe box and WiFi connection.